By default, Microsoft Windows 10 does not show file extensions for known file types. This can result in problems when you need to rename files. 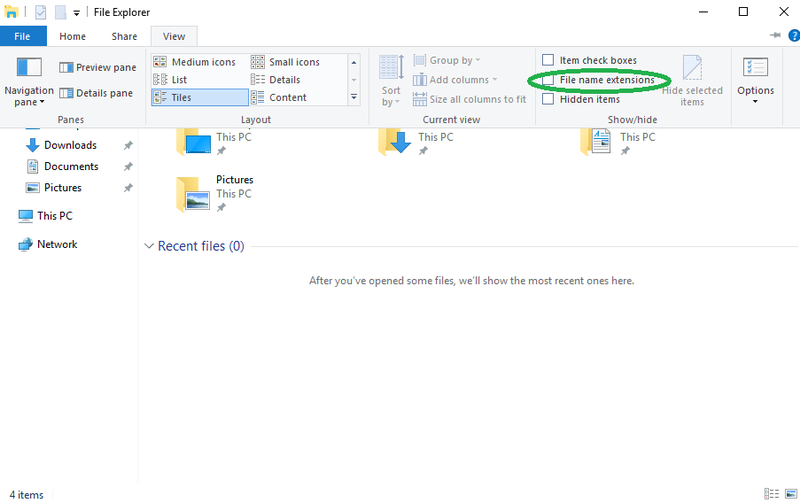 Open a new File Explorer window. Switch to the View tab/ribbon. On this tab, if the "File name extensions" checkbox is blank, put a check/tick mark in it by clicking it.